..observations, thoughts, news and impressions. Don’t hesitate to contact us if you would like further information, or want to discuss ideas for new projects! Please get in touch with Geke van Dijk by email (geke@stby.eu) or phone (+31 6 29 02 89 81). We’re always interested in hearing from bright, enthusiastic, creative students who want to intern with us and learn more about design research and service design as part of their studies. Important: You must be currently studying to apply for an internship with us. What you are studying doesn’t matter so much; in the past, we have had all kind of design students, as well as people studying anthropology, psychology and business. For both offices, you’ll need to speak English to a high level. 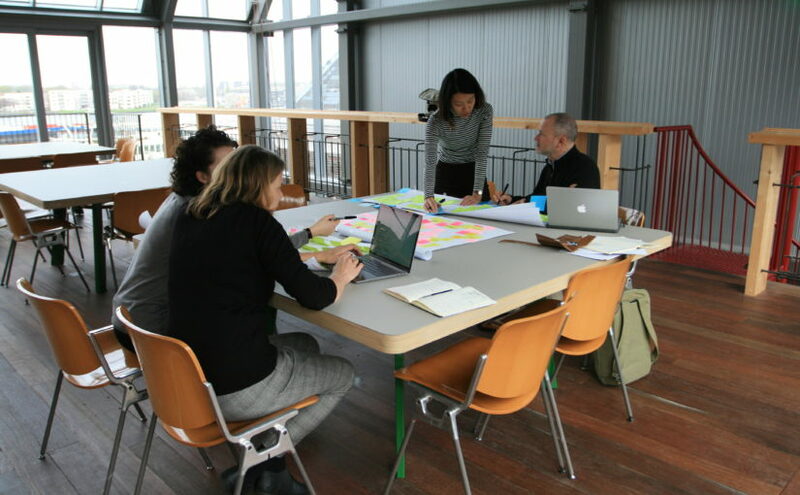 For the Amsterdam office, you also need to speak fluent, business-level Dutch. The internship lasts a minimum of four months. The start date is negotiable, depending on whether we have other interns currently (each office only has one intern at a time). For the first half of the internship, you shadow STBY members and learn how we work. Once you’re comfortable with the basics, we’ll ask you to contribute to our ongoing projects. In the second half you work on your own project to explore a part of our work (a topic, a tool, etc) deeper. If you’re interested, please send your portfolio, CV and a motivation letter, explaining why you think STBY is a good place to do an internship, what you want to learn, what you expect, and what you can contribute to us. For the London office, you can email qin@stby.eu. For the Amsterdam office, you can email shay@stby.eu. 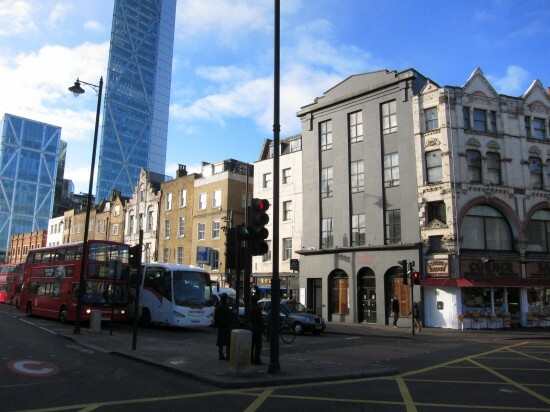 In London we are based in the vibrant area of Islington, just a short walk from Angel Station. Please contact Geke van Dijk for further information, or to discuss your ideas for new design research projects. Our studio is in the Spring House very close to the Central Station. 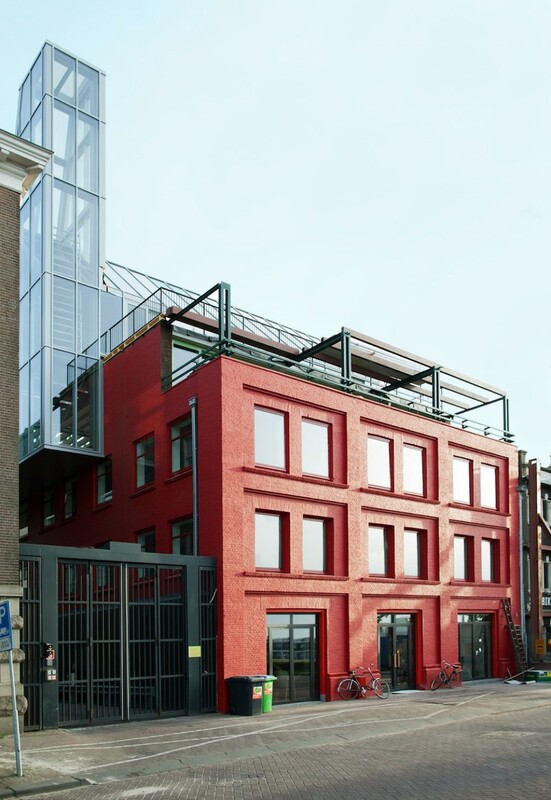 This iconic 100-year-old building at the Amsterdam waterfront is a vibrant home for the local community of creative and cultural entrepreneurs, artists, strategists and researchers. We recommend you use public transport as it is a 10 min. walk from the Central Station. 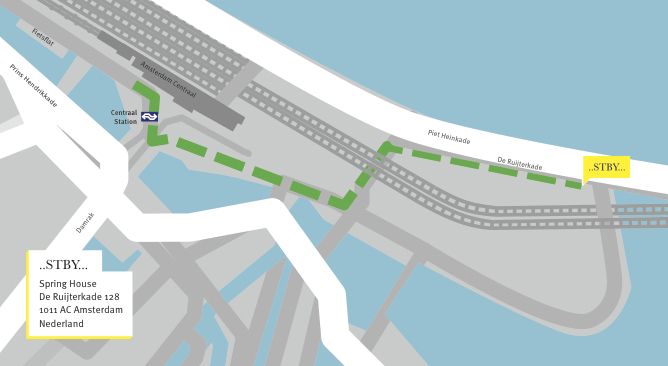 On the map below you can see how to get here from Central Station.